How to clean your furniture when you are going to paint it. How to properly clean your furniture before painting it. Continue reading How to clean your furniture when you are going to paint it. How to repurpose a dresser into a media console. Transform an old dresser into a great media console, coffee bar or buffet. A complete how-to with video and supply list! 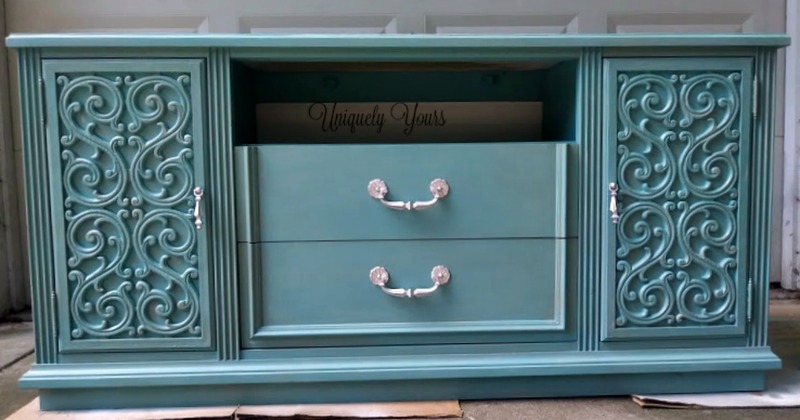 Continue reading How to repurpose a dresser into a media console. See the transformation of this vintage vanity and bench. Learn how you can update your own pieces for your home. Continue reading Vintage vanity with bench. A Whole House Decluttering Journey. We have taken 7 bags out for donations and 6 bags of trash. I am very happy with my progress so far on my whole house DIY project. I plan on going about this in phases: Phase 1 (General decluttering) and Phase 2 (Detailed organization) Continue reading A Whole House Decluttering Journey. An Out Of The Box DIY: A Whole House Decluttering Journey. What in the world is a DIY out of the box? Well, for me, I am starting a long home do-it-yourself project. I am going to declutter our house, from bottom to top! I believe that this decluttering is going to be the biggest DIY I have ever attempted! We have accumulated so much stuff. Our home is 5 bedrooms, 2 full baths, and a full basement and it is full of stuff we never use and never will. We have a full house here, my husband and I have two daughters, a 13-year-old and a 12-year-old. My mother also … Continue reading An Out Of The Box DIY: A Whole House Decluttering Journey.